Matthew Apgar - mapgar@shawmedia.com LED lights line the windows at Chubby's on Tuesday, March 6, 2018 in Algonquin. The restaurant is fighting a township ordinance that bans the LED lights which line their windows. 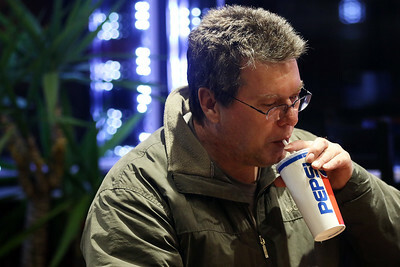 Matthew Apgar - mapgar@shawmedia.com Pat Clarke of East Dundee drinks from his soda while sitting inside the dining room near LED lights, lining the windows at Chubby's on Tuesday, March 6, 2018 in Algonquin. The restaurant is fighting a township ordinance that bans the LED lights which line their windows. 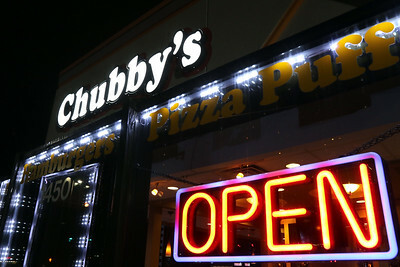 LED lights line the windows at Chubby's on Tuesday, March 6, 2018 in Algonquin. The restaurant is fighting a township ordinance that bans the LED lights which line their windows.